But this beauty is not easily conveyed in words or other images. Occasionally, however, someone succeeds in doing so. For instance, I have previously written about my appreciation of friend Claudiu Presecan’s paintings. Today, I write about the work of Dave Hill, who lives in the Rocky Mountain West. Hall is a rare individual, who has been able to capture the beauty of the places we fish in brushstrokes as well as words. He shares both in his new book, Moving Water: an Artist’s Reflections on Fly Fishing, Friendship, and Family (Blaine Creek, 2019). Moving Water is a hardbound book with dust-jacket, that includes both single-page and full-spread, color reproductions of Hall’s paintings. Many of these depict the Yellowstone area of the American West. Along with the paintings are autobiographical reflections upon Hall’s life. Hall’s paintings are both ethereal and very realistic, at the same time. Thus, they convey the sense of beauty that I describe above. In the paintings, anyone familiar with the West, or similar landscapes in other parts of the world, will recognize their own experiences of such beauty immediately. Because the written narrative accompanying the pictures is rather poetic, the words complement the pictures perfectly, and they provide an understanding of who Hall is, how his family influenced him, what his friends and fellow anglers were like, and so on. As a result, the words, along with the familiarity conveyed by the paintings, almost make you feel as if you are reacquainting yourself with an old friend, in the shape of Hall. Rather than share my own, inevitably poor photographs of Hall’s work, I share an image from the artist’s website. 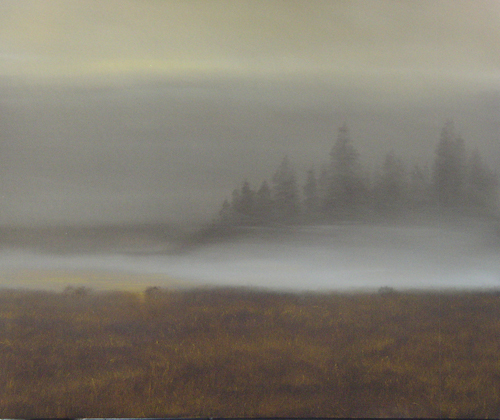 This painting is featured in the book, and it is titled “Dawn on the Henry’s Fork.” It is one of my favorites. I urge you to visit the Dave Hall Landscape Art to see more paintings. 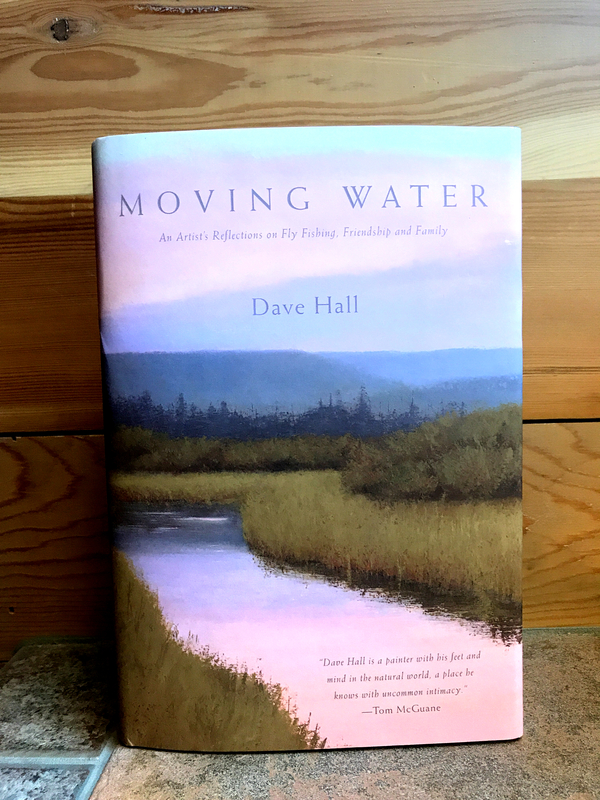 And you should visit Dave Hall’s Moving Water to learn more about his book and to place an order. You can also order postcards, posters, and more. Hall’s paintings really do capture the Montana and Idaho with which I am acquainted; I can almost smell the flowers and hear the melodies of the birds, as recommended by the Treatyse’s author, just by looking at Hall’s paintings. Take a look; you may feel the same. This entry was posted on January 5, 2019 at 2:26 PM and is filed under Environmental Literature, Fly Fishing Literature, The Arts, The Environment. You can follow any responses to this entry through the RSS 2.0 feed. You can leave a response, or trackback from your own site.